Now, the more I think about it, the more I’m inclined to opine that real or not, Frank (the creator of PostSecret) must be loving this. He posted the secret first on the page, Tweeted it (it’s since been deleted), and then let the debris fall. He didn’t seek out the police. No. He let Reddit users figure out where the location was, which ended up being a park and driving range called Jackson Park in Chicago. This fits with the partial zip code of 606 that can be seen on the postcard. Last I read, the police were tipped off to the secret by a Twitter user (not Frank) and were opening up an investigation into whether or not a body was buried at Jackson Park. 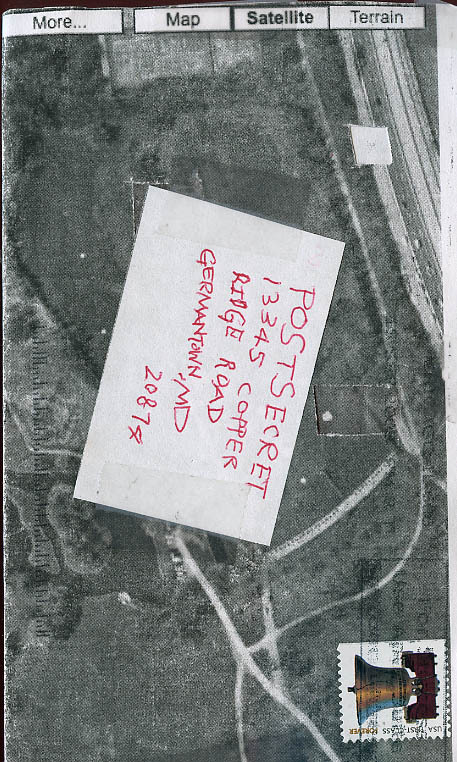 Nothing suspicious has been found yet, so it’s looking more and more like the entire postcard was a cheap ploy for attention by someone with a really messed up sense of humor. 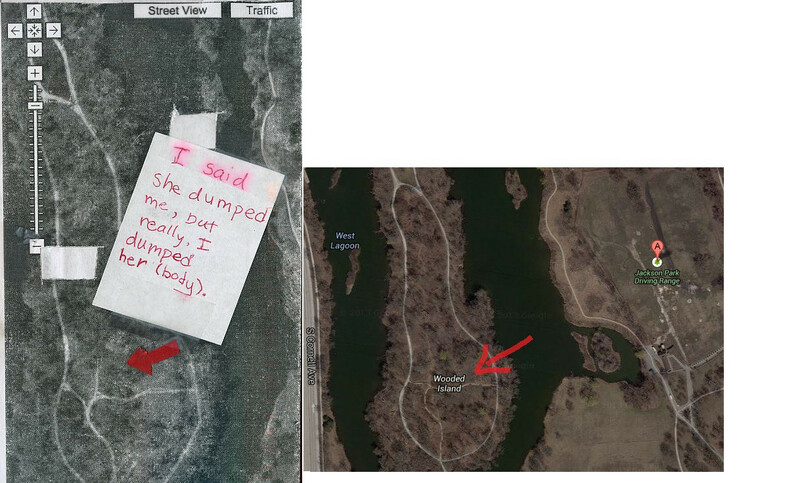 Here’s the actual location compared with the postcard. Click to enlarge. While I love me a good Internet mystery as much as the next person, I’m disturbed that Frank Warren would post that secret without contacting the police. I have no issues with the postcard going up there because crowdsourcing something like that to the Internet tends to get faster results than the old fashioned way (it only took Reddit users 30 minutes to identify the area). However, it’s appalling that someone could claim to have killed a woman and PostSecret does nothing to contact authorities. Even if he gets dozens of postcards like this a week but doesn’t post them, the fact that Frank did post this particular one means that he must have thought it was credible enough to bring attention to it (and to his website). Frank’s not bound by any sort of confidentiality. He has no ethical responsibility to keep the secrets of those who send postcards in. He’s not a priest or lawyer. If someone confesses to committing a violent crime, then he has a responsibility to report it and then it’s up to law enforcement whether or not they want to take it seriously. PostSecret Causing Harry Potter Trouble? 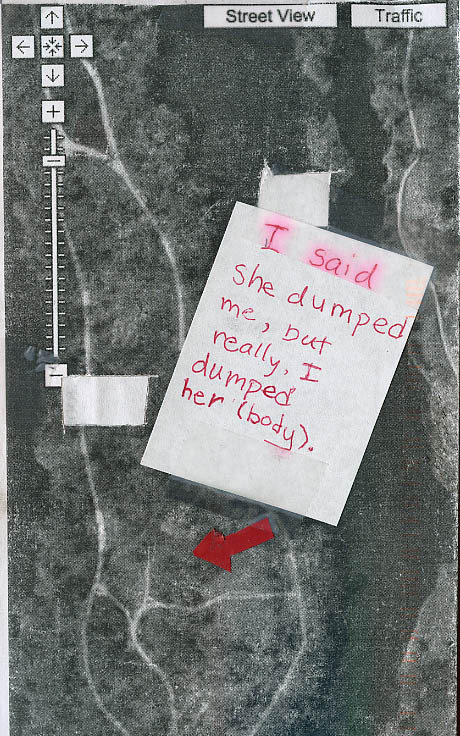 This entry was posted in PostSecret and tagged PostSecret Murder Confession. Bookmark the permalink.